Shameless Heart is a new signature journey inspired by the Divine Mother three years ago in Teotihuacán when She made an invitation for all to return to a true equilibrium within ourselves and with each other— human and divine as one, masculine and feminine unspun, wounded warrior and battle undone. That message fueled my contribution in the book, Shamanism in the New Millennium, and moreover, called me to healing in a new way: dissolving the wounded inheritance of feminine and masculine through trauma healing and grounded heart-based spirituality. This journey is the convergence of that intent and a rebirth for us all into a new way of living, of loving... Shamelessly shameless are we who stand united in heart, as heart, and of one Shameless Heart. I am incredibly honored to announce that I was nominated to be featured in a directory of 2018's top spiritual leaders! I am rubbing elbows with amazing healers, teachers, and authors in this wonderful directory which details each of our biographies, our work, and our contact information so that you can get started on that transformation you have been seeking. Check it out! If you're a healer who is ready to reach greater depths of connection and cultivate new skills as you discover an ancient healing lineage, then join Rebecca Haywood, modern-day Shaman & Toltec guide, for a transformational retreat & workshop in Teotihuacán, Mexico! In the energy of Teotihuacán’s most powerful sites, you will be immersed in shamanic healing and into an intimate experience of your natural receptivity. Learn the potent practices of Shamanic Healing while undergoing the process yourself. Activate your channels of receptivity while shedding the obstructions that cloud them. Connect with an ancient lineage of healing while forging new depths within yourself. More than just a practicum, this is a journey of self-discovery and an opening to your full receptivity as a healer. Join us in The Soul Collective — a tribe of like-hearted souls seeking enlightenment within the human experience. Our focus is of healing and rebirth that we may reorient ourselves as a vehicle for our collective evolution and return our compass to ‘true north’ — our soul’s correlation with the universal energy that inhabits us all. In this accelerated online series, we will use lecture, discussion, meditation, and the Toltec practice of Dreaming to realign our mind with our heart and soul, shifting our assemblage point from the Domesticated Mind to the Soul Mind; and together, we will practice accessing this clear channel as a source of healing thyself and creating a life of true fulfillment and love. Connect with an ancient lineage of healing in the sacred land of Teotihuacan, Mexico with modern-day Shaman, Rebecca Haywood. Rebecca was chosen to carry on this lineage by her late teacher, Mother Sarita, Toltec Curandera and mother of bestselling author don Miguel Ruiz. 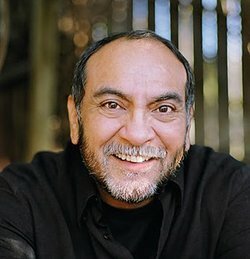 This special retreat focuses on developing the medicine of your word through the ancient techniques of Velaciones, Egg Cleansing, and Channeling. You will journey through Teotihuacan, dissolving doubts and limitations, and emerge as an authentic conduit of healing in which you fully embrace your word, your medicine, and the Healer within you. The Human Collective is a gathering of individuals seeking enlightenment within the human experience. Through lecture, discussion and the Toltec tools of the Medicine Bag, Stalking, Recapitulation & Dreaming, we will explore the human interpretations that hold us separate from our authentic expression and rediscover the freedom of being divinely human. Modern-day Shaman and Toltec Guide, Rebecca Haywood, will lead us through a deep process of healing the mind’s relationship to our body and to Spirit. Through lecture, guided meditation, and shamanic healing, we will explore the agreements that beholden us to the tyranny and restore the mind to its true nature of service — to the body as its temple and to Spirit as its provenance. Join modern-day Shaman and Toltec Guide, Rebecca Haywood, for a unique opportunity to experience her healing energy in Nashville, TN. Rebecca will guide us into a state of trance in which we are attuned to integrate and transmit the higher vibrations of healing. Each participant will then receive a silent healing from Rebecca and her Spirit Guides. This invitation is for all of us - male and female alike, for we all come from Mother and we all fall from the grace of that Mother. Let us reunite with her, rewrite the story of our inheritance and greet the true face of the Mother. In the powerful energy of the temples and pyramids, Rebecca Haywood will guide you through a deep process of connecting to the channel of your feminine lineage. You shall return to the womb and surrender into the sweet dissolution of forgiveness, reintegrating the Divine Feminine and resurrecting your self anew.